This master planned community gives you an opportunity to build your dream home in the sought after school district of HJ. There are underground utilities on site as well as natural gas and an HOA in place that only costs $300 per year. Deed restrictions are available to view. You will find a 3 acre fishing pond, walking trails and soon to be a 20 acre lake. 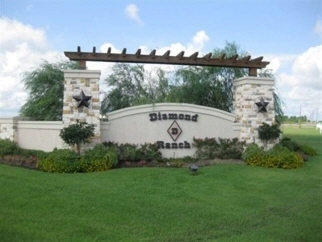 Diamond D Ranch offers the lowest taxes around and best school district in the county. This growing subdivision is only 10 minutes from the west end of Beaumont. Come check it out!